Works fine with water shader, loading is really fast than voodoo wrapper. It used 2.2 gb GPU memory, when voodoo uses all my GPU memory (3766 mb). Yep I did, though I'll give the wrapper a shot. Thanks! The gameplay in the video looks smooth as butter! EDIT: After some horribly failed attempts, It wasn't working because my dgvoodoo setting were wrong. Fixed it and now it works! Though I'm still getting poor fps and some flickering which is new. @silent_gxg: Try opening the model in 4ds manager and scroll to the bottom of the texture list. At the bottom there is a texture called "vilagosszurke2.bmp." Try changing it to vajszin.bmp" or "vilszurke.bmp." Vajszin is a tan color and vilszurke is a black. If I remember correctly, this should be the texture for the spare tire cover. 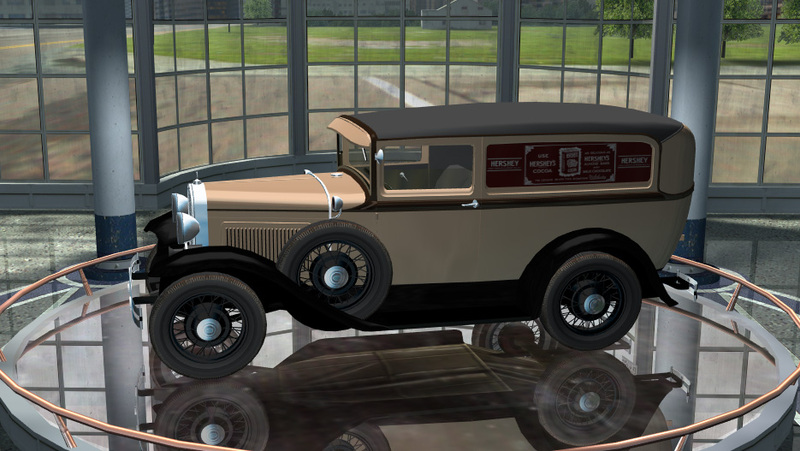 The spare wheels have their textures just forgot that the LS3D illuminates everything if I do not lower the vectors to make the canvas cover color more realistic. Now I replaced them and I colored the fordor versions spare wheels because at the time these colors could be freely chosen by the catalog on the car dealers. 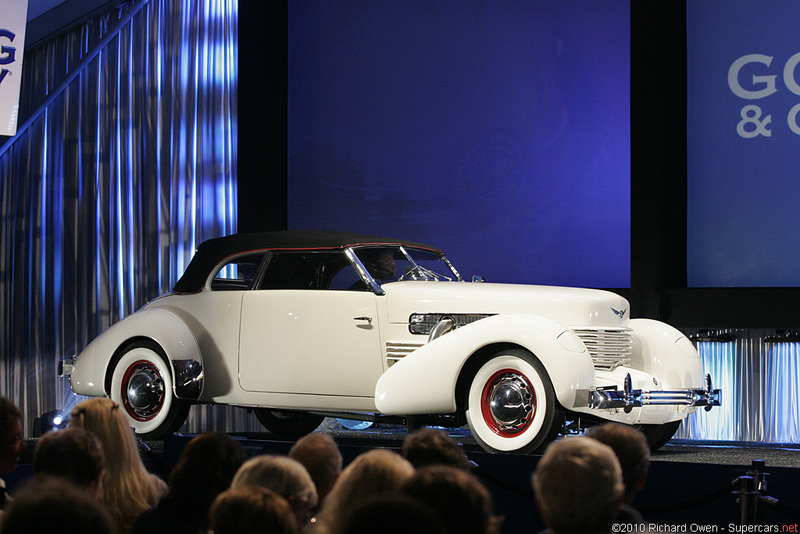 All I saw was that the convertible was always compatible with the color of the canvas on the roof canopy, so it certainly could not be selected. I will collect the changes for the large repair package that my friend arbitrarymobster will make and as we do for the programs, we will also release it as RCF 1.6.1. So, with new entrants, they always download the ever-better version and do not have to patch and install patches. 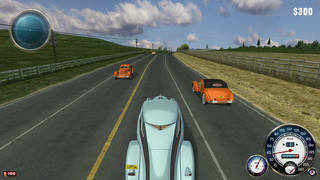 Soon I will come up with new news for the new freeride version, but now I do not have time to deal with it yet. I very like RCF 1.6, but i think it can be better with little changes. 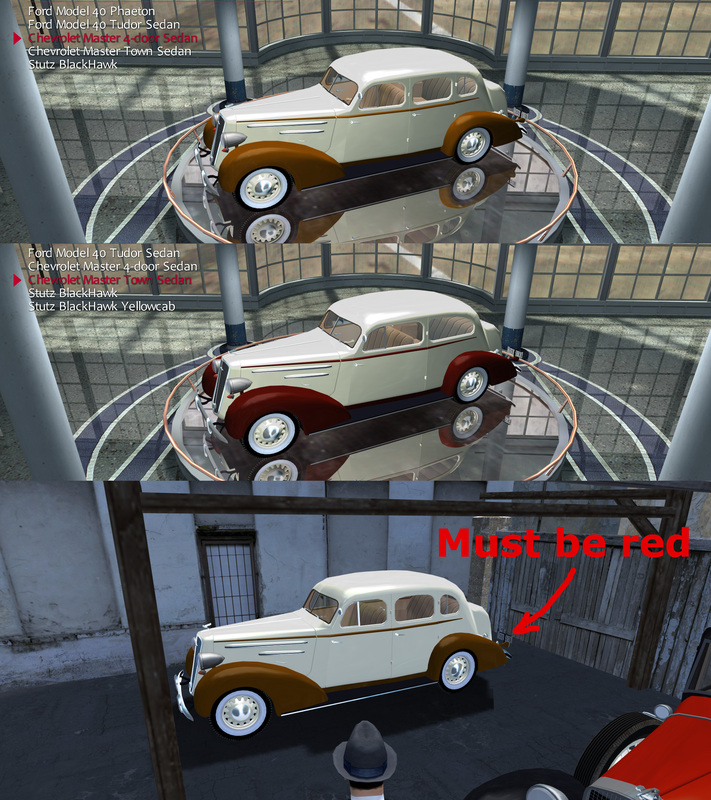 To many orange cars in Countryside with default missions folder. 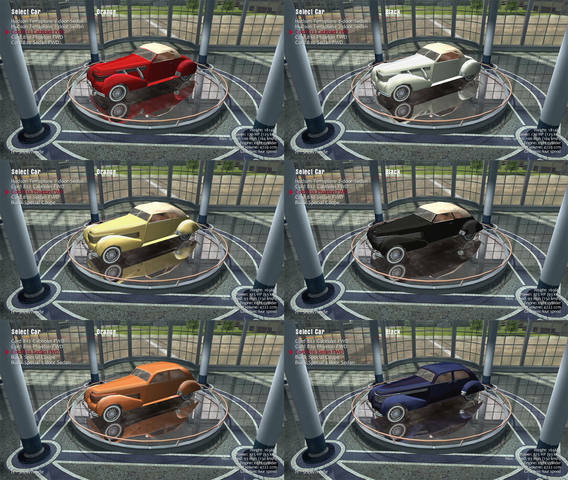 If colors of Chrysler models not the same like in original game, maybe better add 2 new colors for two-door versions? Ford ambulance have better look with black rims like this. Now for some reason every time I try to installed the dgvoodoo fix, I suffer insane graphical glitches and VERY low performance (like 5-10) and I got a beast rig so I should be able run this no problem, and I also made sure I put in the right files and setting for the dgvoodoo exe. Can anyone help please? what is your system spec? OS and etc. It was working before, though I really didn't get a performance boost like everyone else. Now its worse with extremely poor fps and corrupted graphics. Neutral, I mean something like this. Oh my god it actually worked! Thanks so much Abradox! Abradox , this is a really good idea , i always wanted to change the colors on the Cord . Can you give us these colors ? or how can i change it ? The original SUUU's Retextured pack are included with these colors ? 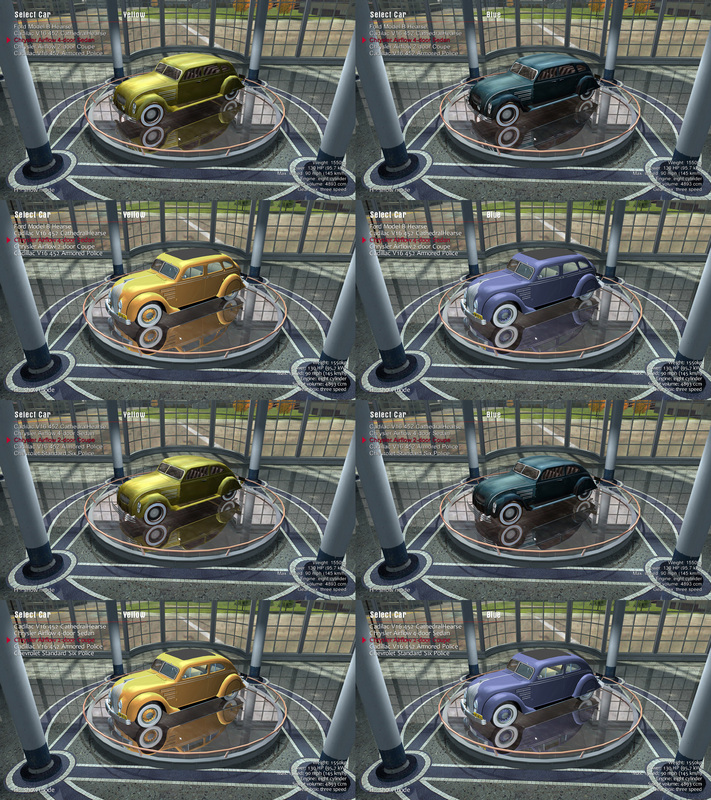 Lol, I just change SOTETnarancs.bmp and BLACK.bmp in Photoshop, load game and got a screenshots. I even not saved samples with new colors, but it's not a problem, I'll make a new one. 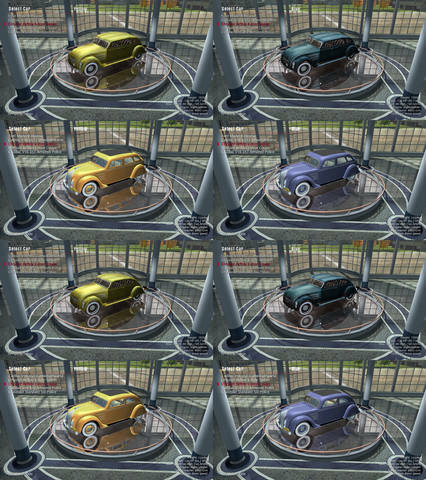 Yes, SUUU's Car pack included textures with this colors. Neutran need to replace texture name in model for another. Abradox! Do you want to instruct me or politely ask for these changes for your "sborka" mode? Forget the words "must be" and "have to" or "Neutral need .." and picture without text or any help that where is this problem. The RCF mod replay edition is to renew the basic mafia and the original cars, in the original order and in the carcyclopedia colors. Not permitted to be a car white while the its color name black in carcyclopedia. I'm the only taxi I've insisted on because my old RCF is my favorite and best describes the '20s ending atmosphere. In the freeride release now, I can use any color and then you can pick up what you need if you able to write more politely. Thank you arbitrarymobster for your reply. Thank you Neutral for clearing that up. Looking forward to next RFC version. 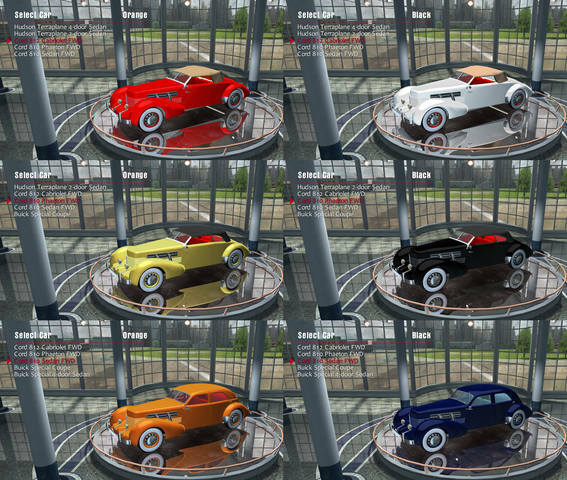 As for the colors of the cars...I too have change few...but the fact is that the RFC 1.6 models are so good that they look good on all colors, the problem is that there are limited slots in game...however, any changes to the mod must have first be allowed by the creator of the mod otherwise it is disrespectfull.